Two are in an emergency ward. 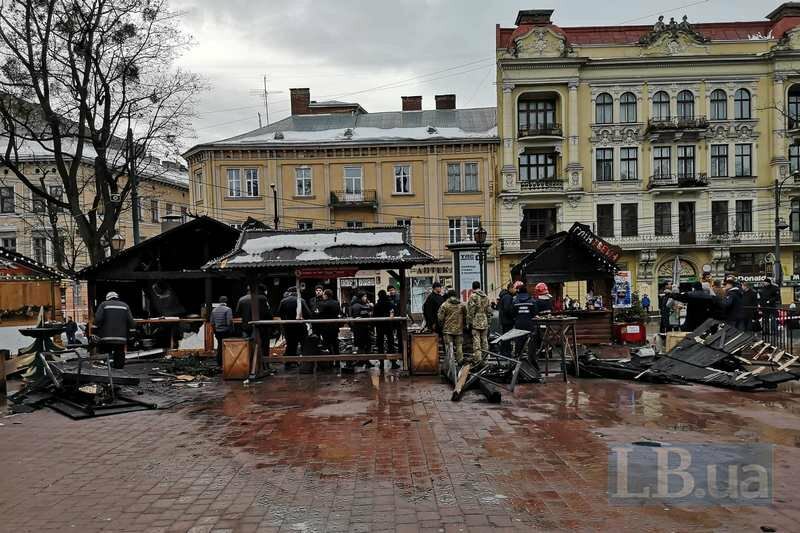 Five people were hurt as two gas canisters exploded at a Christmas fair in central Lviv on 22 December, according to an LB.ua correspondent. Two of them were admitted to an emergency ward, three more are being treated for burns. One hut burnt to ashes and two more were damaged by fire. The fair was closed. Firefighters extinguished the fire in 10 minutes. 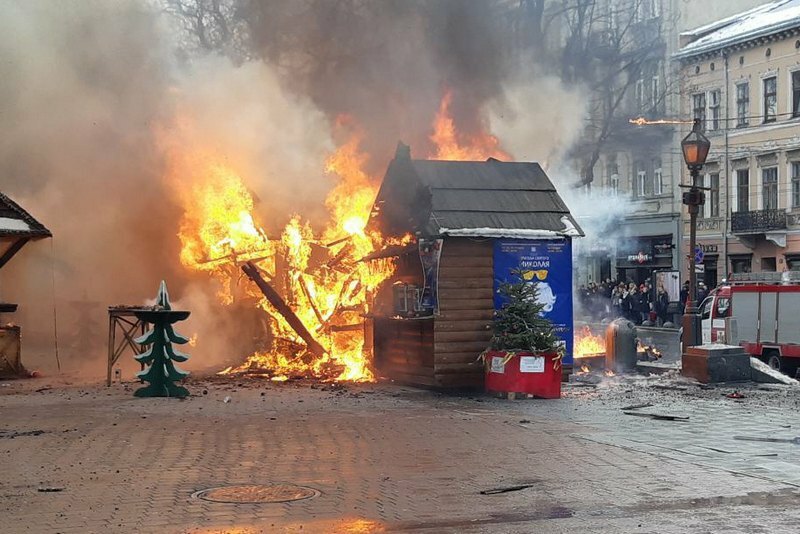 A criminal case was opened over the violation of fire safety.